Amidst the uproar over Hungary’s “slave law” and the law on the judiciary, let us not forget that Parliament also amended the country’s church law in that circus session of 11 December 2018. The Orbán regime’s record on religious freedom is not too good, and earlier versions of its church law have not fared too well in court. Hungary’s Constitutional Court struck down significant portions of the law in 2013, and the European Court of Human Rights later ruled that the law violated the right of religious freedom. The newly passed amendments, which effectively amount to a complete rewrite, are putatively intended to redress the human rights violations occasioned by the previous church law. Unsurprisingly, they fail to do that. Like a television soap opera that runs for years without much happening in the plot, the history of Hungary’s church law is full of dramatic episodes that never bring change. Instead of redressing the serious violations of religious freedom caused by the earlier law, the new church law simply repackages them. In an effort to explain what is really going on, I will in what follows (1) retrace briefly the history of the Orbán regime’s church law and its impacts; (2) discuss the content and conception of the new law; and (3) identify the enormous discrepancies between the concept of the law and its applications. 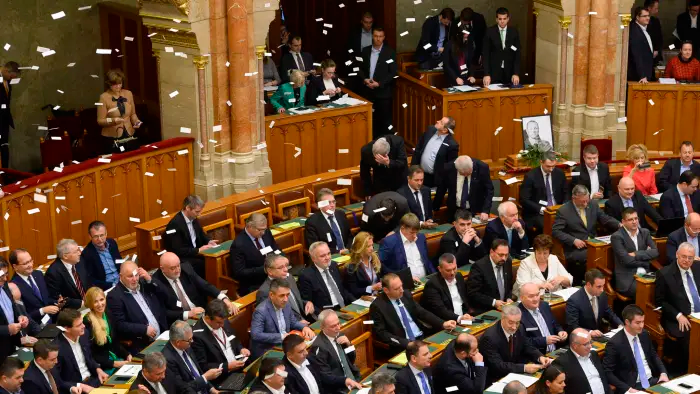 At the end of the day, Hungary’s newest church law exists as a kind of legal fiction, because the framework of the law is ignored by the transitional provisions which bring the law into effect.